Alfa Romeo Giulietta TB Sport. 12Business Contract Hire. Alfa Romeo Giulia 2.0 TB Super Auto E6d. Initial rental of £2,990. 36 month term. 8,000 miles p.a. Valid until 31/03/19. Subject to status. 18 Business Contract Hire. Offers available on the Alfa Romeo Nero Edizione MY19 range. Costs will vary depending on version. All rentals excl. VAT and maintenance. Rentals shown are based on a 36 month term and 8,000 miles p.a. Excess mileage charges apply. Vehicles must be ordered between 01/01/19 and 31/03/19 and registered by 30/06/19. Subject to status. Guarantees may be required. Terms and Conditions apply. Our specialised teams and dealer network is dedicated to providing bespoke solutions for your business, no matter the size. We offer financial and insurance solutions from FCA Automotive services, a national aftersales support network powered by MOPAR and Selected For You used car programs; we offer a truly all-encompassing and cost effective fleet solution. We’re here to work in partnership with your business. Contact our dedicated business centre for more information. When choosing your company car what you want and what you can have don’t always go hand in hand. The All-New Alfa Romeo Giulia Tecnica changes that, offering outstanding specification with the business user in mind. Features include 17 inch alloy wheels, autonomous emergency brake, Alfa Connect 8.8” touchscreen 3D Nav infotainment system with Bluetooth and sat nav all from 21% BIK. When you choose a car as an extension of your business you want something that sets the tone and demonstrates your passion. With our innovative technologies including Alfa Drive Select, Uconnect Live (providing live traffic data and internet streaming capability) bundled with CO2 from 99g/km and BIK from 19% our highly competitive contract hire rates will help you make a statement that’s balance sheet friendly. 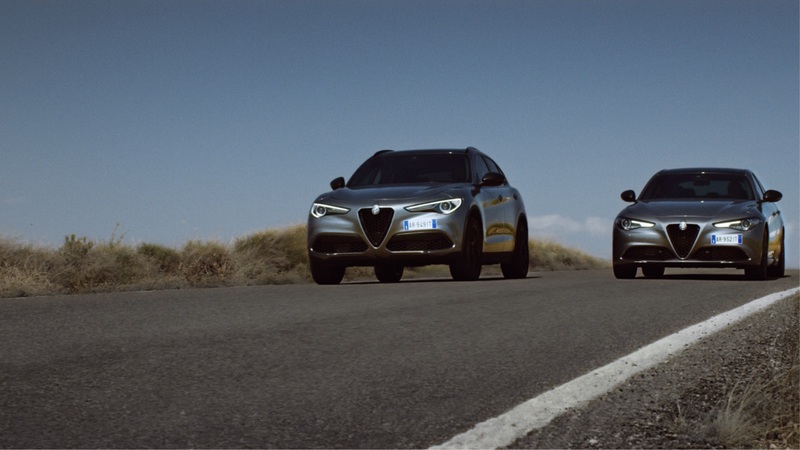 Alfa Romeo’s fleet and business team coupled with our technologies makes it easier to keep your fleet running at peak efficiency. The business focused Giulia and Giulietta Tecnica specification is designed with efficiency in mind. LIVE traffic updates keep your team on time, internet streaming capabilities to keep fully connected and real time feedback on driving and fuel economy; coupled with BIK from 19%, you will be able to meet all demands the business might throw at you. Business Centre. The perfect place for professionals like you. Business Centre is the perfect place to for advice and support when running a vehicle for your business, whether you have one vehicle or a large fleet. A highly specialised customer care team is always available to help you make your choice, show you the best financial solutions and the benefits that you will get from choosing an Alfa Romeo model. 24/7 roadside assistance, repair service with original parts and punctual delivery are just some of the services we offer. Discover the nearest Retailer with Business Centre. Discover the Mopar aftersales services for Fleet&Business clients. All our services are specifically designed around your company's needs. Join us on LinkedIn to view product information and offers on our full Alfa Romeo range. 11Business Contract Hire. Alfa Romeo Stelvio 2.0 Turbo 200hp Super Auto E6d 2019. Initial rental of £3,280. 36 month term. 8,000 miles p.a. Valid until 31/03/19. Subject to status. 12Business Contract Hire. Alfa Romeo Giulia 2.0 TB Super Auto E6d 2019. Initial rental of £2,990. 36 month term. 8,000 miles p.a. Valid until 31/03/19. Subject to status. 13Business Contract Hire. Alfa Romeo Giulietta 1.4 TB Sport E6d 2019. Initial rental of £2,080. 36 month term. 8,000 miles p.a. Valid until 31/03/19. Subject to status.